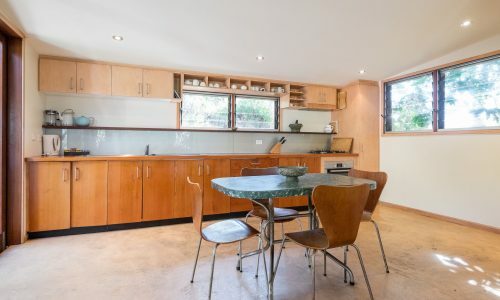 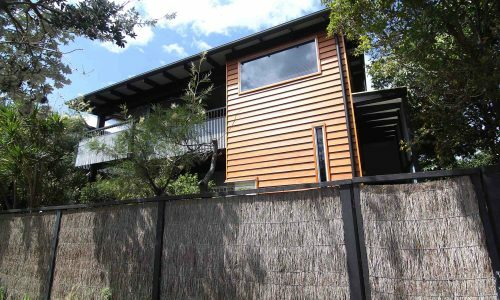 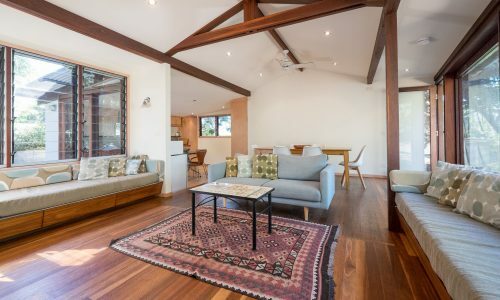 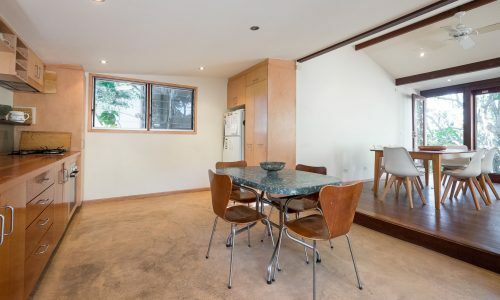 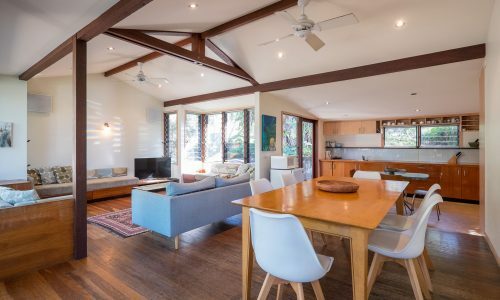 Situated on the site of one of Straddie’s original beach shacks, this remodel beautifully reflects the original design with a stunning entry onto a large pandanus shaded deck as well as open plan living, kitchen and dining areas. 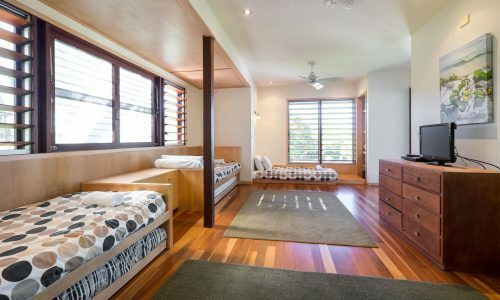 The sleeping quarters of Laguna are located in a separate building and split into two levels. 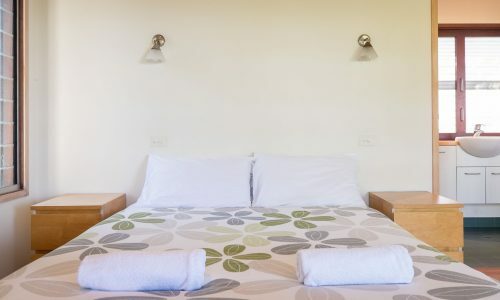 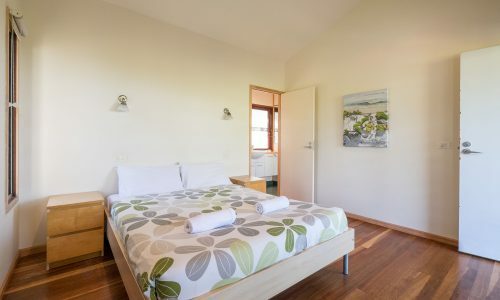 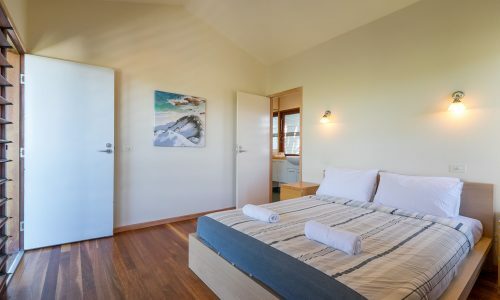 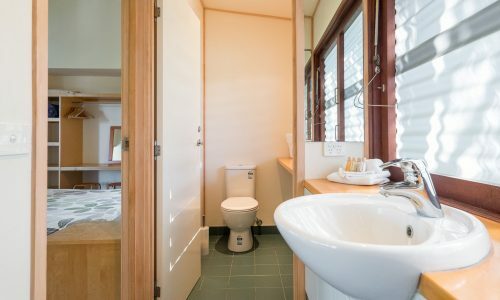 On the top floor, two queen bedrooms are shared with an ensuite and downstairs boasts another four single beds, with two optional trundles, making this funky beach house the perfect destination for a large group of up to eight people. 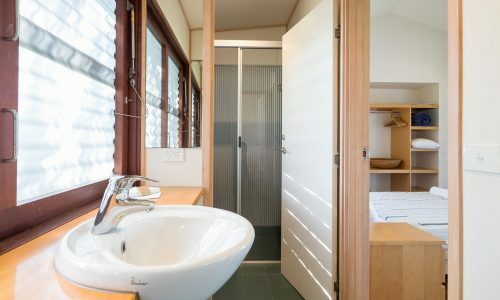 Laguna also boasts screened windows and ceiling fans though out house as well as an additional bath house outside with toilet & shower. 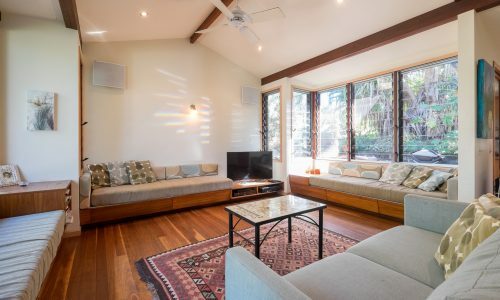 The main open living area boasts a large TV/DVD/CD stereo, gas cook top & oven, microwave, pantry, fridge/freezer, extra bar fridge, and dishwasher. 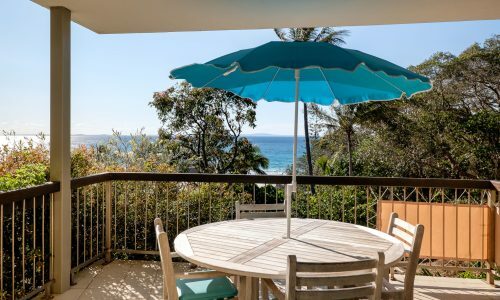 This beach house also features an outdoor setting with an umbrella as well as a Webber BBQ on the back deck. 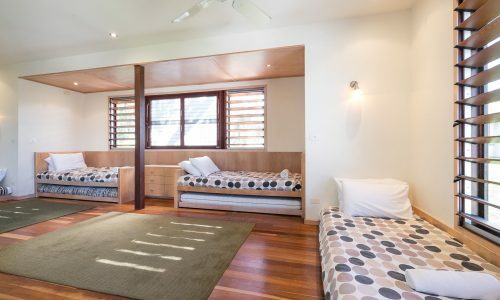 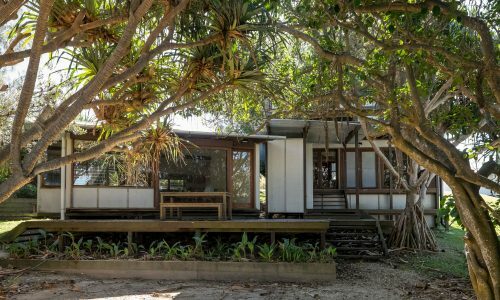 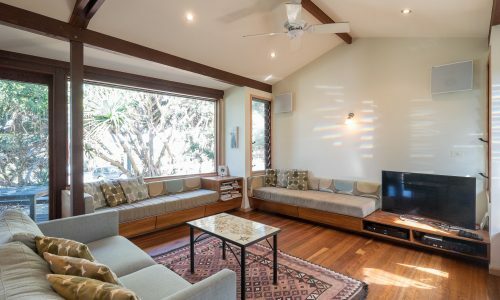 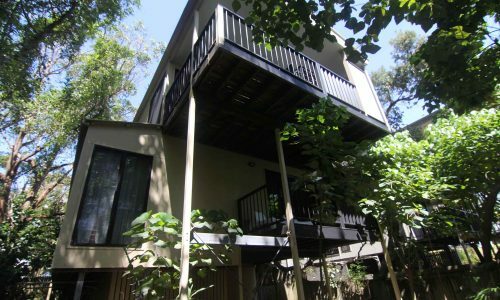 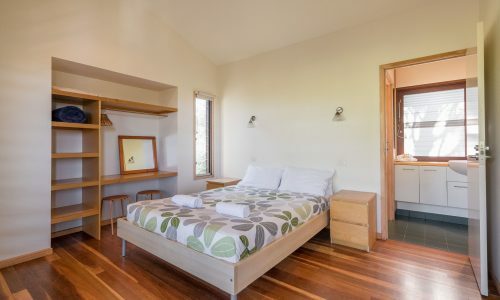 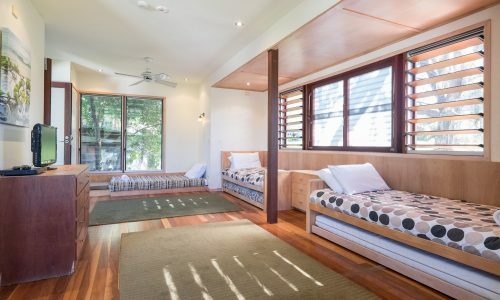 Laguna is queen of seaside charm and is nestled among a huge pandanus grove with several indoor and outdoor spaces to rest and relax on your Stradbroke Island holiday. 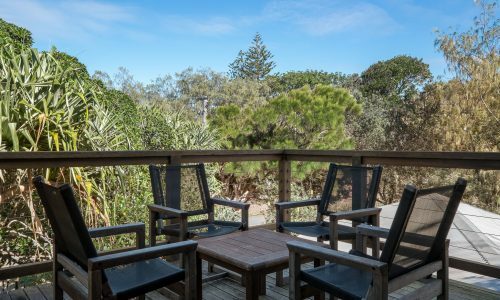 A short walk (200m) to Main Beach and only 100m from the North Gorge Walk, bakery, restaurants and shops, Laguna is Point Lookout perfection, perfect for families and groups of all sizes. 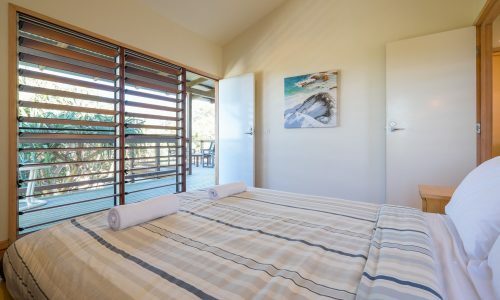 NOTE: Bookings at Laguna Beach House include a return car ferry at a time of your choice (subject to availability), a $50 cafe voucher for Fish and Chips, and our premium linen and amenities pack.